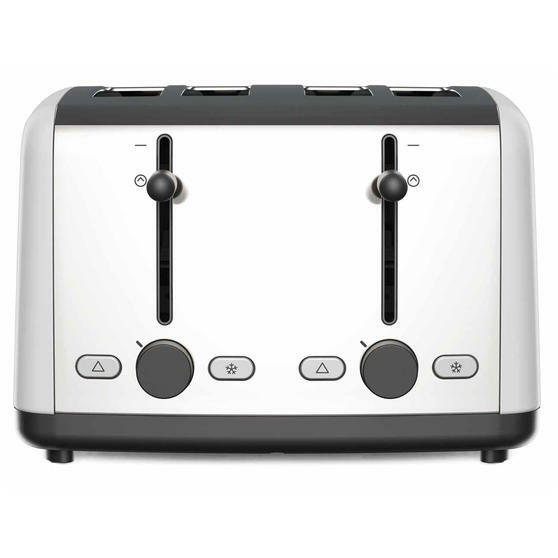 With six browning levels to choose from this superb Kenwood toaster gives you control so you can get your toast just how you like it every time. 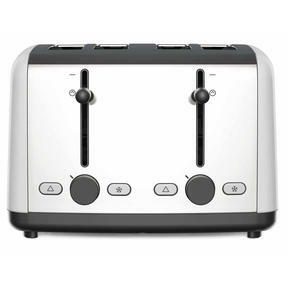 It has a four slot design and two easy to use independent levers making the toaster ideal for busy family breakfast times. 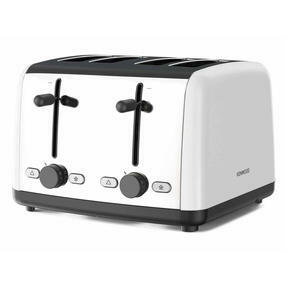 Featuring a stylish white exterior it combines style and practicality perfectly, it also has cancel and defrost settings and the bottom tray can be withdrawn so you can remove any crumbs effortlessly. 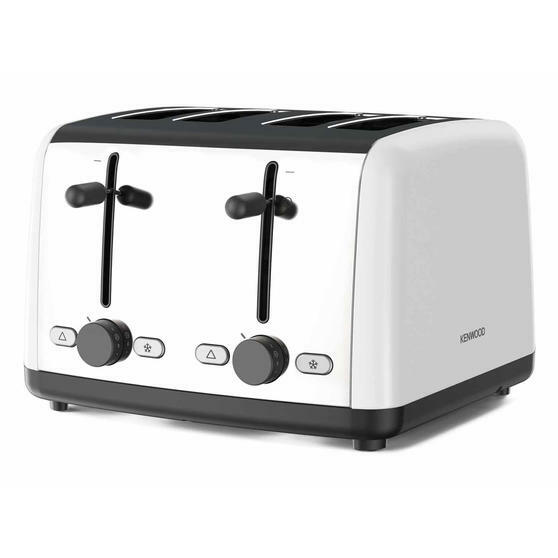 Featuring a luxurious white exterior, this superb four-slice toaster from Kenwood has variable browning levels for simple control. 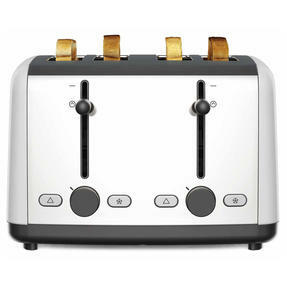 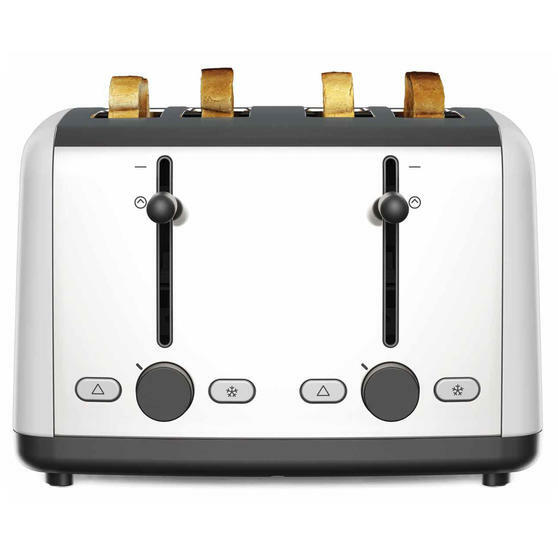 Incredibly easy to operate the toaster has two convenient high-lift levers making collecting bread, crumpets and bagels simple. 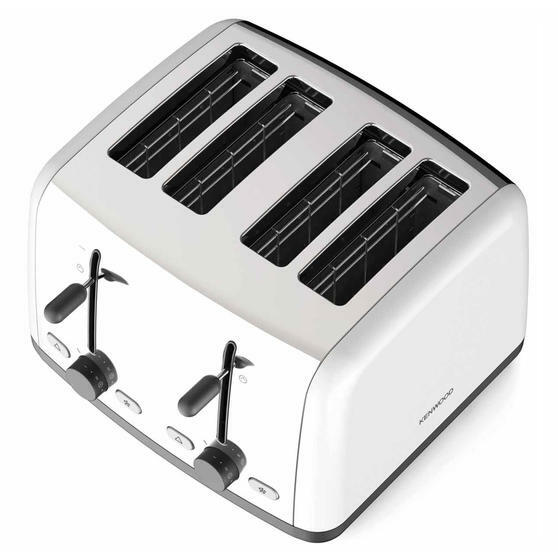 Measuring 31.5 x 29 x 20 cm, this large family toaster has a removable tray which can be cleaned easily to eliminate lingering crumbs. The toaster also has 900 W power and an adjustable chord and built-in storage to keep your worktops safe, neat and free from wires.